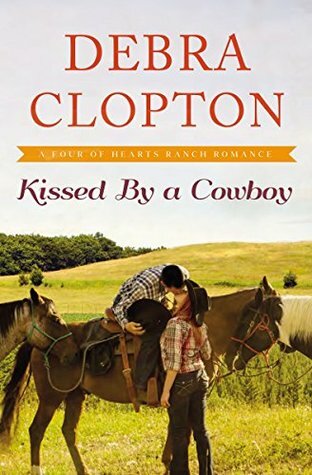 This is my second Four of Hearts Ranch series read by Debra Clopton. I read, and enjoyed, Counting on a Cowboy last summer. 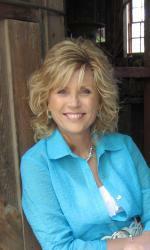 This series has such a warm, cozy setting in the small town of Wishing Springs, Texas. It felt like returning to a friendly, favorite place to visit this town and many of the same characters again. This book centers on Cassidy Starr, who returns to Wishing Springs in order to run a strawberry farm and bed and breakfast at her late aunt's home. Cassidy is sour on marriage after a particularly bad divorce, but she still feels sparks fly when she sees the handsome cowboy-next-door, Jarrod Monahan, again. The couple meets cute, as Cassidy cannot find the keys to the farm house she has inherited, so she is entering the house through the doggy door ... only to get stuck. Jarrod comes along at just the right time. This is a novel about Cassidy's second chances in the town where she grew up. I really liked Cassidy as a character. She was strong and independent. I also enjoyed her romance with Jarrod, who impressed me in the previous novel as the strong but silent older brother. The novel has well developed and likable characters, dialogue that moves the story along at a nice pace, and an interesting plot. I recommend it for readers who enjoy Christian fiction, women's fiction, and fun weekend reads involving handsome cowboys! I received this book from Litfuse in exchange for an honest review.